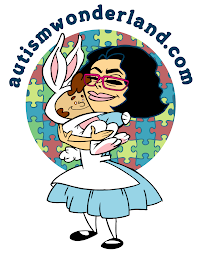 Ever since I wrote Hope is on the Horizon (Part 1) numerous parents going through the Turning 5 process have emailed asking me about the ASD Horizon program. I was extremely cautious but candid with my words. And I always let them know that I was simply giving them my opinion and I urged them to tour the school for themselves. I still believe in the ASD Horizon program. But like so many other things in the world of special education - what is supposed to be and what actually happens are two totally different things. It is the South Bronx Public School that implemented the program, I no longer believe in. I was hopeful about the school and the program when I wrote Part 1. Even though, I was uncertain about whether or not The Boy could thrive in a typical public school - I wanted him to have a chance. And I was hopeful in the teacher and I believed the administration would do the right thing if the program was not appropriate for The Boy. I want it to be very clear. The ASD Horizon program did not fail The Boy. The Assistant Principal and Principal, failed. And the School District who put the ASD Horizon into practice, failed. I was going to write a long post...detailing our year. But I won't. It's over. The Boy is out of that school and now he's in a better more appropriate place. Instead, this post will list all the the things I hope the ASD Horizon program at that school becomes - because The Bronx needs this program. I hope the teacher does not give up on a child on the first half day of school. I hope they take the time to learn about autism. I hope the Assistant Principal does not dismiss parents concerns, telling them to "cálmate" (relax). I hope the Assistant Princinpal and Principal are forthright when related services are not being provided and work with the parent to ensure their child gets his/her services. I hope they don't bully the parents within that first month of school, hoping the parent will pull the child out of the school. I hope they do not make excuses about what they can't do because of budget cuts - that's not an acceptable answer. I hope the teacher communicates with the parents using a communication notebook. And I hope that if the parent writes to the teacher with a significant concern - her question is answered. I hope that the Assistant Principal doesn't encourage the teacher to cut off communication with parents. I hope that in a kindergarten class of six children, every child gets the opportunity to be a Student of the Month. I hope they will be honest with parents and try to work with them and not against them. I hope the teacher remains professional and does retaliate against the child. I hope that if they encounter another parent blogger, they don't print out past blog posts and place them in the child's file. And I hope the Assistant Principal doesn't use blog posts as ammunition to insult the parent. I hope that if the teacher is absent for weeks at a time, they will place an appropriate substitute special education teacher in the class. I hope they really work with New England Center for Children consultants - I hope they value their suggestions and implement them in the classroom. I hope they realize that special needs parents are experts when it comes to their kids. I hope they listen to parents and learn to partner with them. I hope they don't promote a child to the next grade, even though the child failed every single subject, because they want to keep the child in the district rather than suggest a more appropriate placement. But most of all, I hope that they all remember the reason why they got into education in the first place.